At 23, I was every inch of what I wanted myself to be — a fun and free college graduate who was working in the biggest broadcasting network in the country. Also, I had a cute military boyfriend who loved me back as much I loved him. I wasn't rich but I had everything I needed to be happy. For me then, my life was perfect. Things have changed dramatically, though when I got pregnant out of wedlock. Sadly, the boyfriend (who became no longer cute for me lol) and I had opposing views about the situation; it was expected that we didn't get married. Worse, I didn't have a job for the whole 9 months of carrying my little human. Just imagine how miserable I felt every time I craved a burger and I don't even have money to buy the cheapest kind. While my mother took me under her care, I knew I had to do something for me and my baby. So during my first trimester, armed with resourcefulness and guidance from the Lord, I sold my huge magazine collection to a magazine store near our house. My collection of mostly Summit Media magazines was really that huge that I was able to buy myself fruits, maternity house dress and vitamin supplements. And just before my first trimester ended, my boyfriend (who became cute again lol) and I reconciled and decided to become partners in building our dream team. We knew we would never have our fun and free youth back but having a baby gave our lives so much meaning. With God's amazing grace, my cute boyfriend and I are now married and are blessed with two beautiful kids. 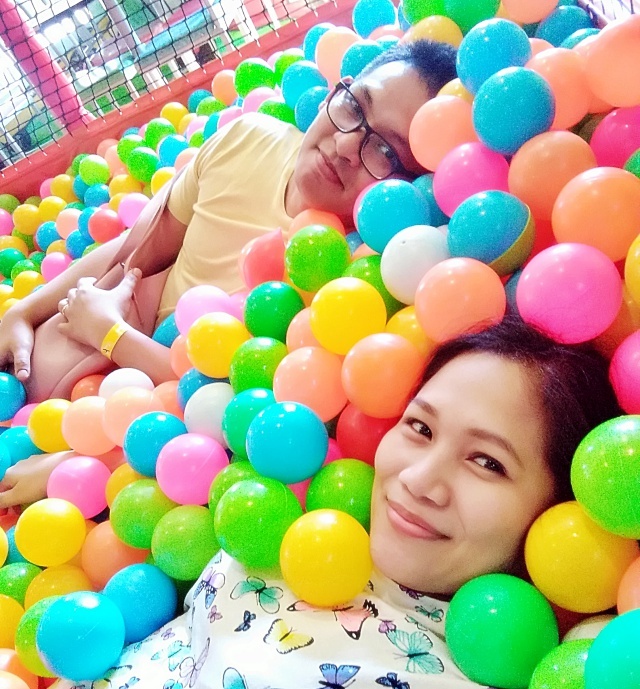 We had uncountable fights from the moment we decided we will be a family but since we knew in the deepest corner of our hearts that we really cannot live without each other, we fought and prayed hard to be where we are right now. Communicate every day. It's amazing that we now have the video call option in online messaging apps that communicating is now easier than it was 10 years ago. We don't do video calls every day but we make sure to update each other on a regular basis. 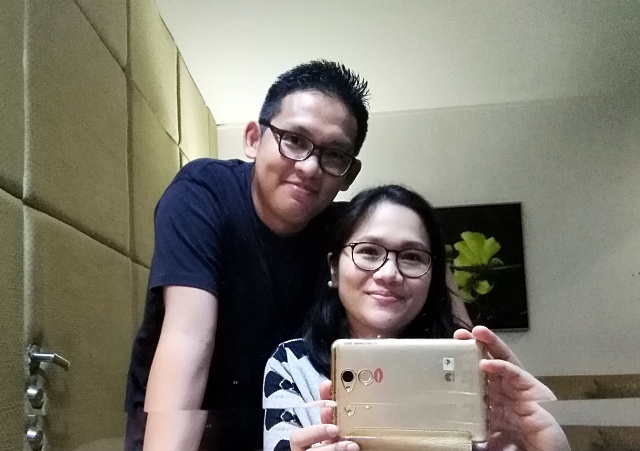 Sometimes, when he's too busy and I really get lazy to initiate a conversation, I just tell him I have new IG Stories that he needs to see to keep updated on our latest happenings here at home. Then little do we know, we have already chatted away for almost an hour. Respect each other's me time. My husband doesn't have any vices or even hobbies that men usually have so when I see him watch silly videos on Facebook, I just let him be even if it kind of annoys me, haha. He never questions my usage of phone and social media so I've learned to not question him, too. Instead, I helped him regulate it by actually allowing him to use it freely. Laugh at and with each other. Take note that I also said AT. Yes, he laughs at me as much as I laugh at him. We love making fun of each other's annoying traits to the point that I even created an album of his quirks on my Facebook page. Click to see the funny memes here! Be healthy. Both our fathers died at their 40s and had suffered from dreadful illnesses before they passed away. Both our families went through a rough time since then. Both our mothers had to raise us alone. We know that we can't control our own and each other's deaths but we can prevent to delay it until we know our kids can live on their own by doing our best to be healthy. I will never claim to be an expert on this. Apparently, I'm on the "large side" of the world. But this is why we choose to see our health differently! We realized that when we care more about our own health, it signifies how much we care for each other. We believe that having a healthy lifestyle isn't just about washboard abs and expensive gym memberships. Of course, who wouldn't want to have a bod to die for! But it's all about what happens internally that we are more concerned about. So when I learned the importance of choosing the right Vitamin C and what it actually does for our bodies, I got excited to literally share it with my husband. Vitagreen-C is a non-acidic and safer Vitamin C supplement that is perfect for people with acid reflux like me! It's 100% plant-based and it's easily absorbed in our bodies since it comes in capsule form. Yes, Vitamin C tablets leave residue in our bodies like that laundry powder commercial that has chalk. 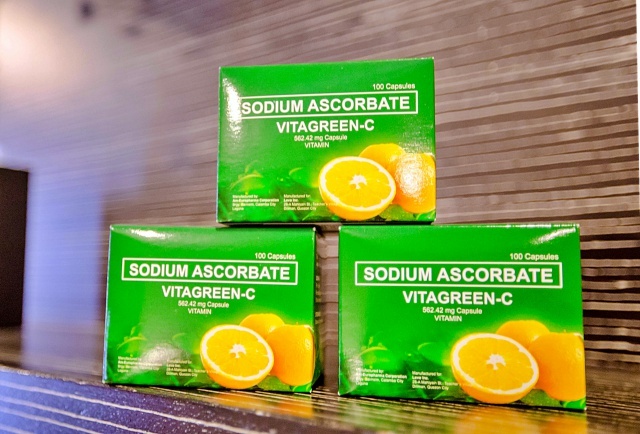 You may read more information about Vitagreen-C and why we should take Vitamin C every day in Dyosa the Momma's post. Watch this video, too created by Mommy Ruth as she experimented on how a capsule of Vitagreen-C can actually clean the water infused with povidone iodine. It's magic, guys! I'm sure you'll be a convert. To order and to know more about Vitagreen-C, please contact Better Health PH on Facebook and Instagram. It's also available on Lazada. You see, each marriage is different. But these basic things are what most couples often forget to do together that sadly causes their relationships to fall apart. If you're struggling to understand your partner, please go back to how you fell in love with each other and perhaps, try the tips I mentioned here. I hope you learned a thing or two from this post since many of you asked me to write about our marriage. Do you think I should share more? Disclosure: This post is sponsored by Vitagreen-C but all thoughts and opinions are my own. very inspiring! keep it up guys!